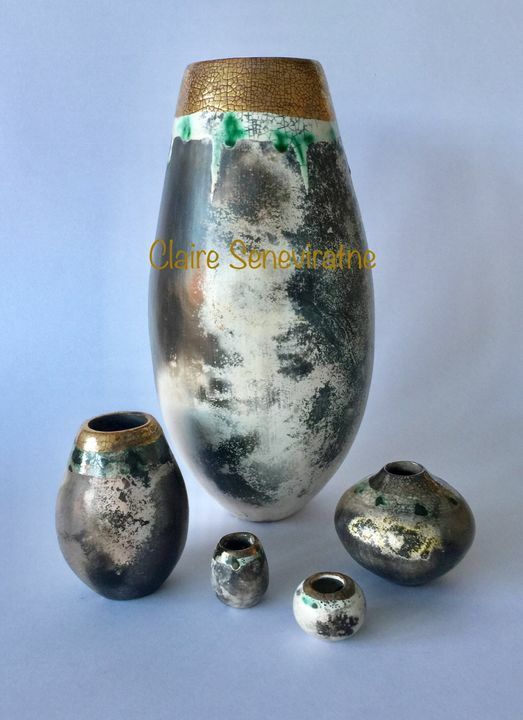 Claire Seneviratne - Ceramic Artist: Group of smoke fired pots. Group of smoke fired pots. Large pot at the back.